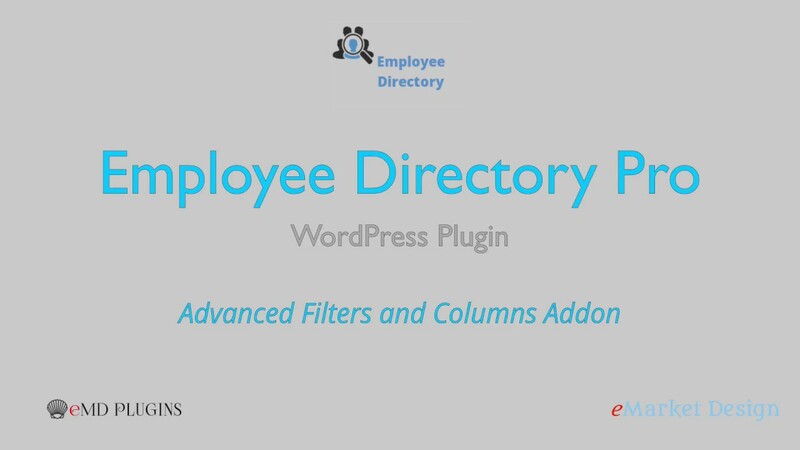 The Smart Search and Columns Addon for Employee Directory helps you to filter through your employees and events and generate reports. Search, create reports and enable/disable columns on your employees and events. Find employees working in certain locations. List of employees matching one to many tags. Easily configure your employee and event lists by selecting the columns to display when viewing your entries. Sort the employee and event lists by fields.